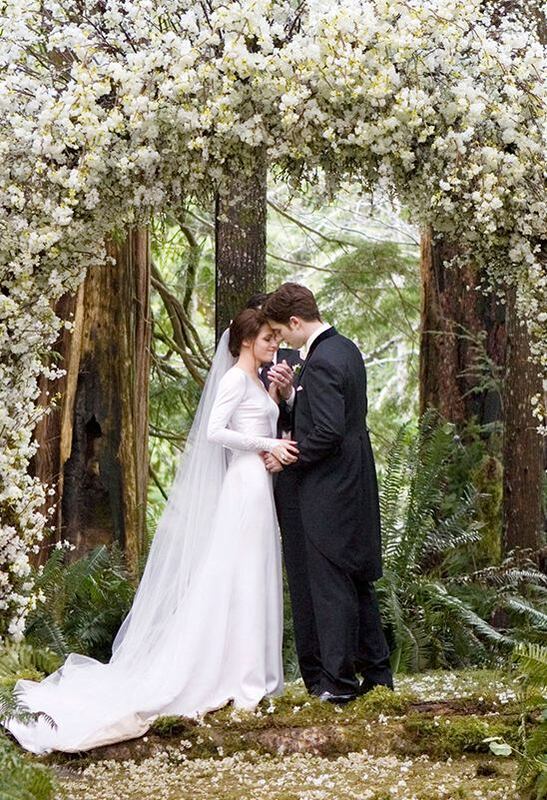 We had to start if off with the quintessential Twilight song. with tons of romance, you can glam up your evening wedding with these two fabulous tracks! Processional: A Thousand Years, Download here. Paris wedding anyone?! Destination wedding or not your guests will think you've brought France to them with these tracks. Processional: Dream A Little Dream Of Me Download here. Recessional: La Vie En Rose Download here. Photo by Timepiece Studio. See more from this shoot here. Nothing more romantic then an intimate wedding on an urban rooftop, and these two songs will strike just the right chord for your intimate wedding day. Recessional: Skinny Love Download here. Photo found at Style Me Pretty, by Delbarr Moradi Photography. 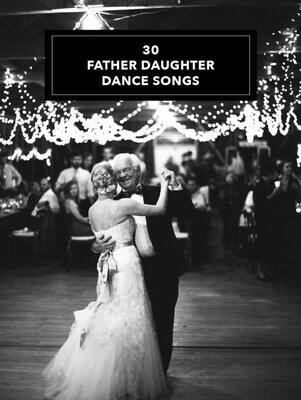 30 great songs for Your Father Daughter Dance. Pick yours out here! Wanting some more edge to your wedding ceremony? Why not rock your guests with these awesome songs? Recessional: Wedding Song Download here. Keep things fun and funky while you say "I do" with these two, toe tapping tunes. Recessional: Chapel Of Love Download here. Photo by Izzy Hudgins. See more here. There is nothing wrong with classics so weather you float down the aisle of a packed cathedral or on a sandy beach some where these two tracks are sure to please. Processional: Canon in D Download here. Recessional: Somewhere Over the Rainbow Download here. Photo by Maison Pestea. See more here. Simple and sweet summer weddings hold a special place in our hearts. These two songs are innocent and pure and full of all the right warm and fuzzy feelings for your big day. Processional: Merry Me Download here. Photo by M Three Studio. See more here. Are today's hits just not your thing? Why not borrow from a decade more suited to you and your soon-to-be partner in crime! Processional: Can't Help Falling In Love Download here. Recessional: I Will, Download here. Photo by June Bug Company. See more here. Laid back and casual barn weddings are such a blast! Plus you can boot scoot your way down the aisle to some of your fav country tunes! Processional: I Run To You Download here. Photo by First Mate Photo Co. See more here. Feeling a little indie Boho chic? These last two tracks are a little bit sweet and a whole lot of funky! Processional: I Will Wait Download here. Recessional: Your Song Download here. Photo by Laura Izumikawa. See more here.